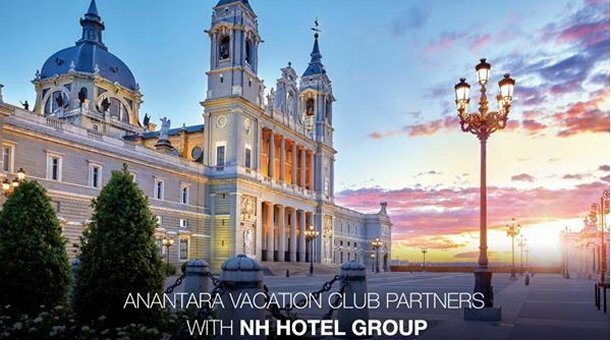 Leading Asian shared holiday ownership programme Anantara Vacation Club (AVC), has partnered with Spanish-based NH Hotel Group to enhance the European travel destinations available to its eligible Club Points Owners. In 2018, Anantara Vacation Club’s parent company – Minor Hotels – acquired a 94.1 per cent stake in the NH Hotel Group, which currently operates three brands including NH Collection, NH Hotels and nhow and offers a portfolio of more than 350 hotels in key destinations across Europe and Latin America. The NH Hotel Group holds the third spot in the European ranking for business hotels and is listed on the Madrid Stock Exchange. It was founded in 1978 and has since grown to include more than 53,000 rooms across 29 countries. Anantara Vacation Club’s new partnership with the NH Hotel Group brings significant flexibility to its eligible Club Points Ownership base, who can now make use of their Club Points to further their European travel adventures more than ever before. Alongside the likes of Minor Hotels’ Anantara, AVANI, Oaks, Tivoli, Elewana Collection, Niyama Private Island Maldives and Naladhu Maldives brands, NH Hotel Group joins Diamond Resorts, Embarc Resorts, Dorsett Hospitality, Travily and The Crane Resort Barbados as the latest Anantara Vacation Club partner to allow eligible Owners to use their Club Points to visit the globe’s most sought-after luxury travel destinations.